Alright, so you want to buy some Monero. First things first, a quick crash course on buying crypto in general. Buying Monero in Australia has become pretty easy since Coinspot came onto the crypto scene. It used to be the case that you had to buy either BTC or ETH, then transfer that to another exchange like Binance or Bittrex, and then trade them for Monero. And to cash out, you’d have to do the whole process in reverse. With Coinspot you can buy Monero with AUD, no need to go through BTC or ETH, very handy! Many are attracted to cryptocurrencies because of its purported privacy. No currency offers this attribute more than Monero. Monero is a cryptocurrency that is based on the CryptoNote protocol and that is quite different from Bitcoin and other similar and more public currencies. It uses the CryptoNight algorithm, and its whole architecture and algorithm structure is aimed at obfuscation and anonymity. Monero places a high emphasis on privacy and obscurity. 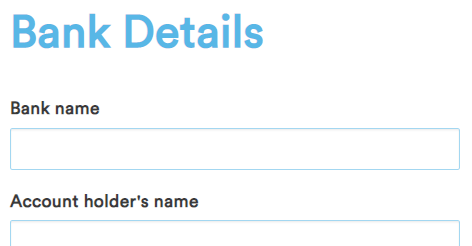 It obscures who sends and receives transactions, and even the amount of transactions. It relies on the use of ring signatures, the mix of multiple users’ account keys, and stealth addresses to hide the specific identify of a user behind a transaction. 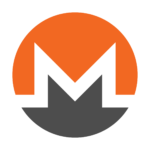 Monero also strives to make the mining process more accessible and egalitarian so that more average individuals through regular devices have the capability to participate in the mining process. Unfortunately, its privacy has attracted illicit use, and its egalitarian approach to mining has meant both better avenues for individuals to mine it, as well as being more hackable by those who want to mine it for ill use. Monero developed off of a protocol known as CryptoNote, which was developed in October 2013 by a pseudonymous developer, Nicolas van Saberhagen. Monero, which was originally dubbed BitMonero (literally Bit plus the Esperanto term for coin), was launched in April 2014. It was actually launched by a Bitcointalk forum participant only known as “thankful_for_today.” The name was shortened to Monero just five days after it was launched. As noted above, the currency’s main characteristic from the start has been the emphasis on privacy and anonymity. However, this unfortunately opened it up for attack in September of 2014 as a result of a flaw in the CryptoNote protocol. But a patch was released that Monero applied, and since then it has steadily seen growth. In 2016, it began to grow rapidly, largely due to its adoption by a darknet market known as AlphaBay. The market was shut down in July 2017, but Monero has not hurt from it. In January of 2017, the privacy attributes of Monero were made even stronger with the adoption of an algorithm called Confidential Transactions, which was created by a Bitcoin Core developer, Gregory Maxwell. It was this development that permitted the amount of transactions to be hidden. Due to its anonymity, many groups and individuals have taken to using Monero to, in a sense, launder their money. Users will break the link in their transactions by converting Bitcoins to Monero, making purchases, then converting Monero back into Bitcoin. Research has revealed that Monero was actually used by the operators behind the WannaCry global ransomware attack and is used as a payment method for The Shadow Brokers. To date, Monero is the only cryptocurrency that has remained truly anonymous and truly protects its user’s privacy, which is why it has continued to grow in demand, despite its increasingly illicit history. It is quickly and consistently increasing in demand and value. It’s climbed 1,300% in value since it entered the market on CoinMarketCap. More exchanges are offering it, such as Kraken, Bitfinex, and Poloniex. It is easy to mine – any average person with their regular computer has what they need to mine it, unlike Bitcoin, which now requires very specific and expensive hardware to mine. It is an inflation-proof currency, with a block reward promised never to go below 0.3 XMR (Monero), meaning mining will always be a valuable pursuit. Because of its unique ability for true anonymity, it has attained a popularity that does not appear to be going anywhere any time soon. As with all cryptocurrencies, however, Monero certainly has its downsides. The price volatility is extreme with Monero. In the last month it has gone up nearly 70%, and it’s climbed from being worth approximately $0.25 to $60 per token in just two years. But this also means severe drops can happen, too. Monero is now irrevocably associated with illicit activity. While plenty of legitimate transactions can and are made with the currency, it has attracted a lot of criminal behavior. This may or may not be something you want to rub shoulders with. Because of its strong privacy attributes, Moreno has become the 13th strongest cryptocurrency in the world as of February of this year. It looks strong, and likely it will only get stronger. Investing now can certainly be a smart move. Just be prepared to be potentially trading with somewhat shady characters. Monero has attracted a lot of illicit activity. It is also very volatile, as stated above, so you need to stay constantly updated on how the market looks if you are going to invest in it.